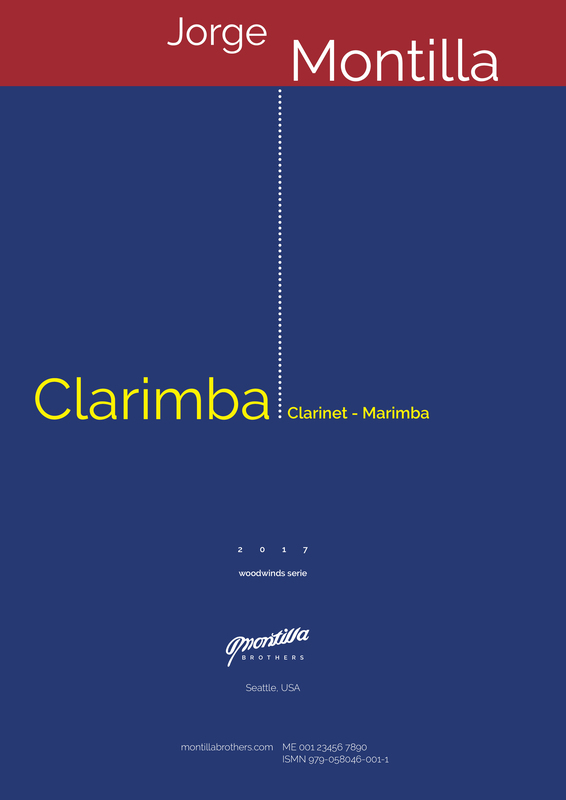 Clarimba (2013) is a short piece for clarinet and marimba based on the Venezuelan genre of “joropo,” a brisk dance in three beats. Joropo is Venezuela’s most representative kind of popular music. Clarimba was commissioned by clarinetist Timothy Phillips. It was premiered by him and percussionist Adam Blackstock in Wroclaw, Poland at the 2013 Clarimania Festival. The piece starts with a slow introduction in five beats that functions as a warm up; however, it soon turns into the typically fast joropo. Although the clarinet might seem dominant, both instruments participate equally. Their dialogue is evident, but the clarinet acts like a popular singer whereas the marimba suggests, at times, the sounds and idioms of Caribbean steel drums.